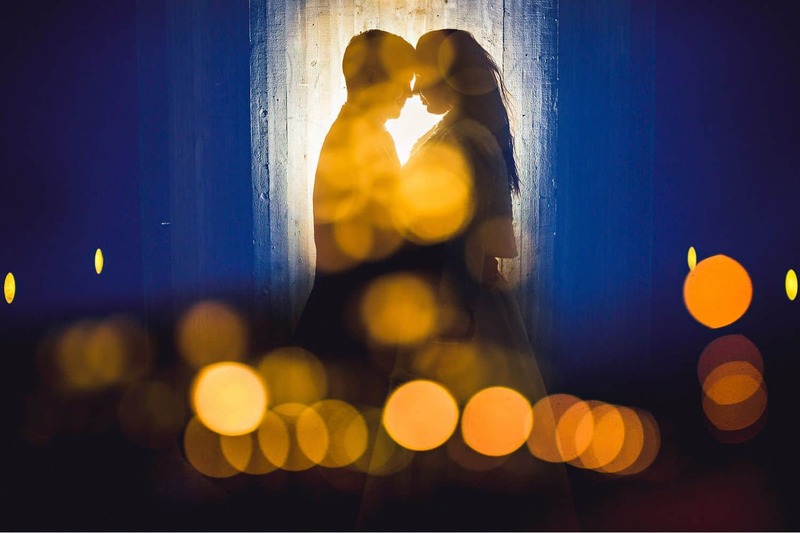 Eirik Halvorsen: "Your Last Photo Is the Most Important"
Wedding photographer Eirik Halvorsen’s stunning body of work is built on a simple premise: every wedding is a story. This approach isn’t groundbreaking. 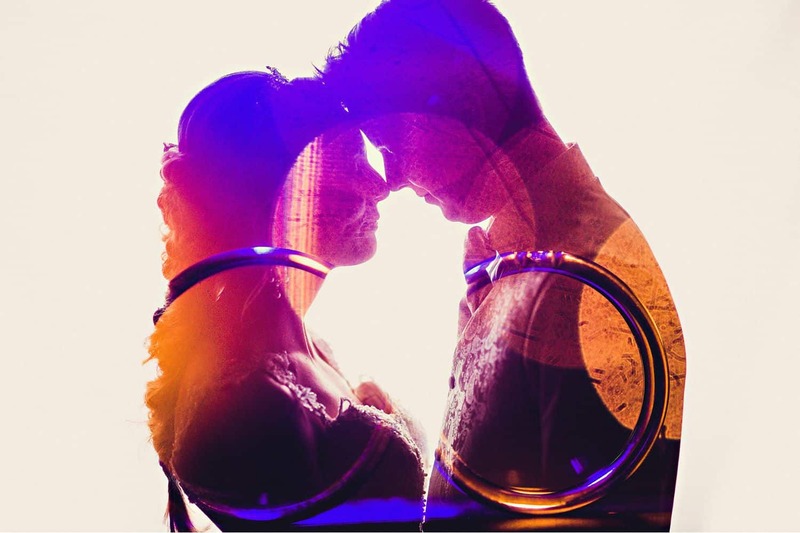 Most modern wedding photographers, in particular, prefer a narrative approach to image-making. What sets Eirik’s work apart is his passionate focus on one outstanding element: the Last Photo. 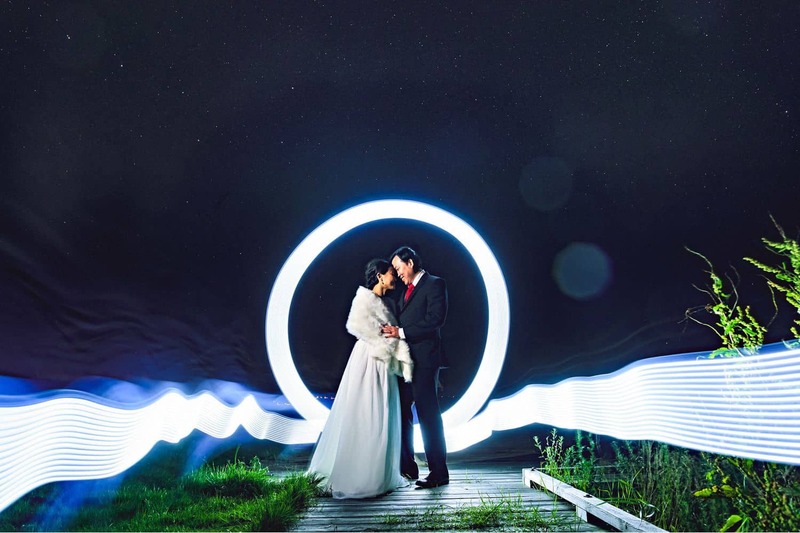 Based in Norway with his wife Jessica, Eirik Halvorsen describes himself as a “forever student.” His passion for new creative processes has earned him recognition as one of the best photographers in the industry – but he doesn’t brag. Eirik gives back at every opportunity, through workshops, mentoring, and beginner courses. 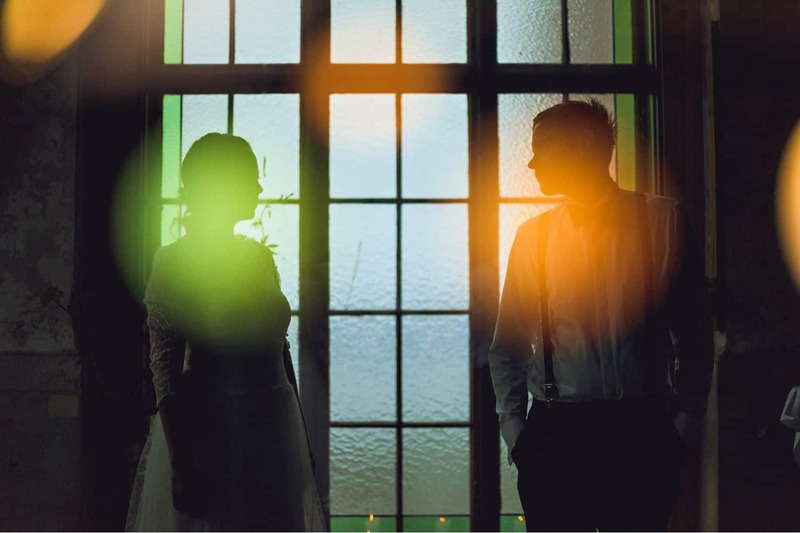 He also co-founded Blikkfangerne, a collective of the very best wedding photographers in Norway. This holistic view of creativity and community comprise the core of Eirik’s Last Photo technique. Eirik believes each image should be more than beautiful. It should say more than one thing. Every photograph should hold a story. Even the Last Photo. What IS the Last Photo? 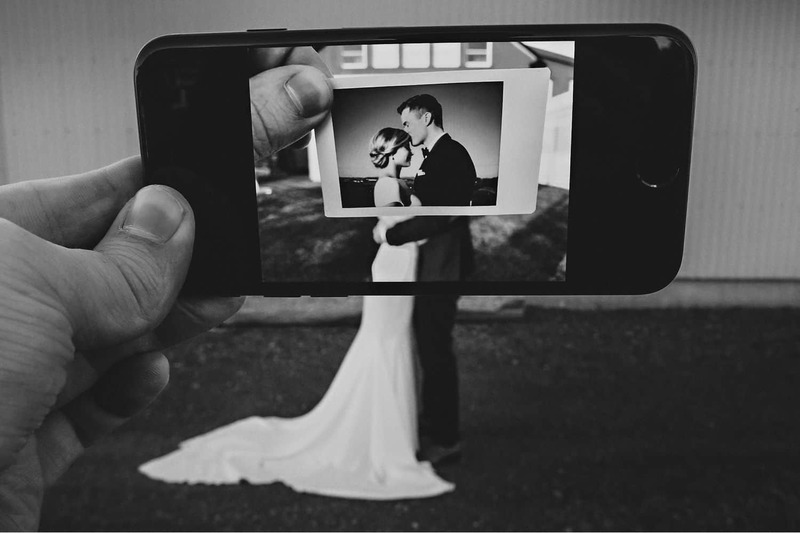 The Last Photo is more than the final photo on your memory card (or roll of film) at the end of a wedding. Here, Eirik breaks down his process for crafting a visual story that eventually leads him to a powerful Last Photo. “What’s happening? If the groom is getting ready, I photograph that. But I also look for sub-stories. Maybe his father-in-law is from another country, and he gave him a special watch as a gift. Or maybe the bride designed and sewed the traditional national attire the groom is getting married in. 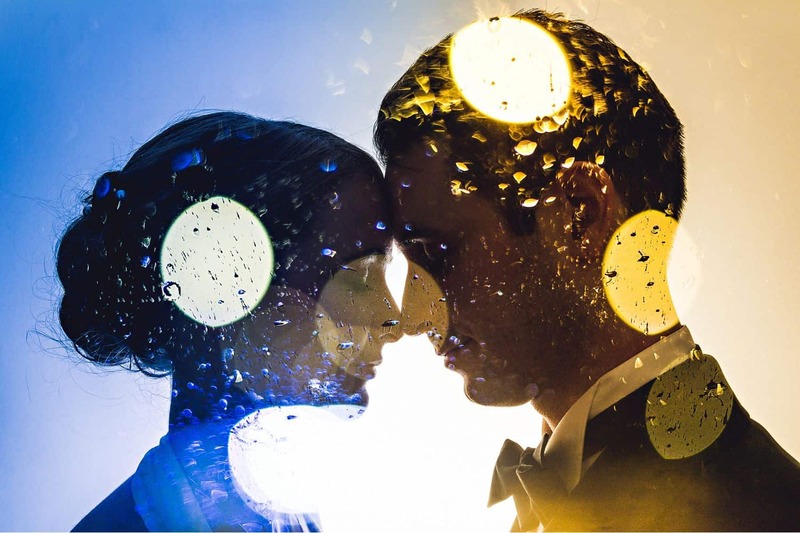 “Aside from obvious shots like the bride putting on makeup, the first kiss, the first dance, etc., the exceptional stories are what I’m looking for. 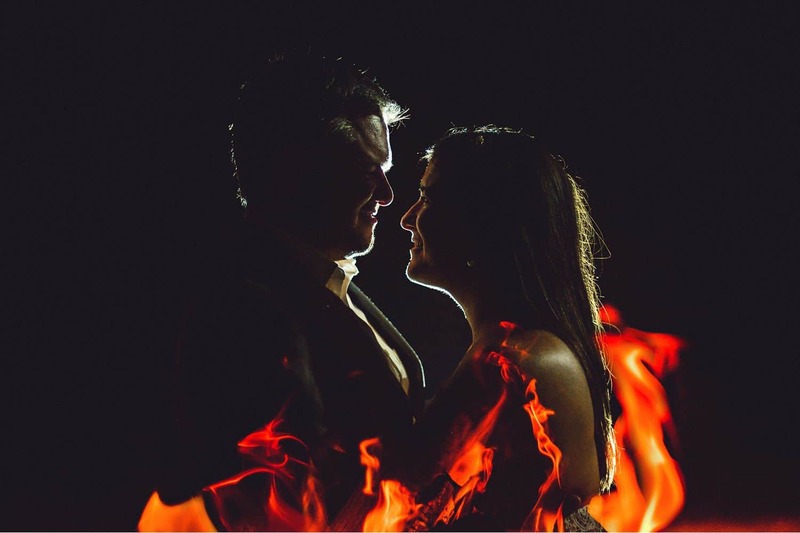 After comparing his wedding clients to leads in a film, Eirik references movies as his inspiration for post-production, as well. According to Eirik, a strong Last Photo should be personal. Yes, it offers an artistic ending for a wedding album, or a stunning wall hanging selection. But the best Last Photo interweaves personal elements that will attract the eye and resonate deeply with your clients. 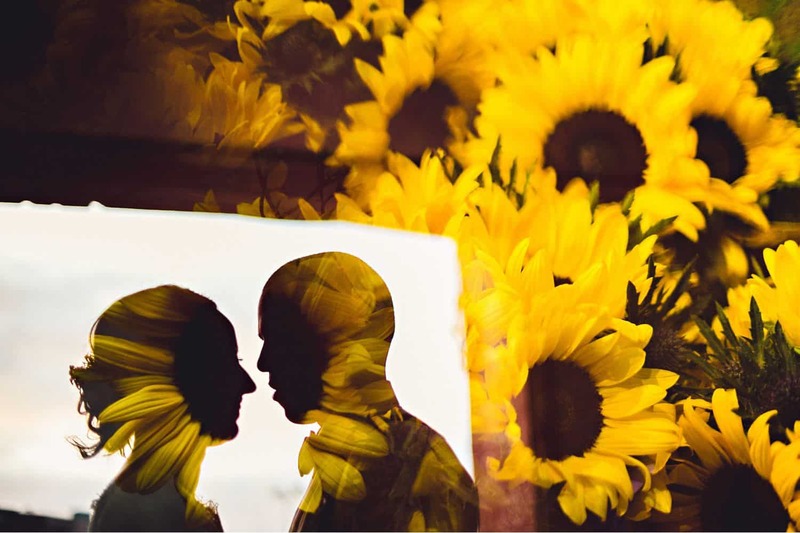 “Gyda and Philip had sunflowers as their floral theme. The whole venue was covered in sunflowers! 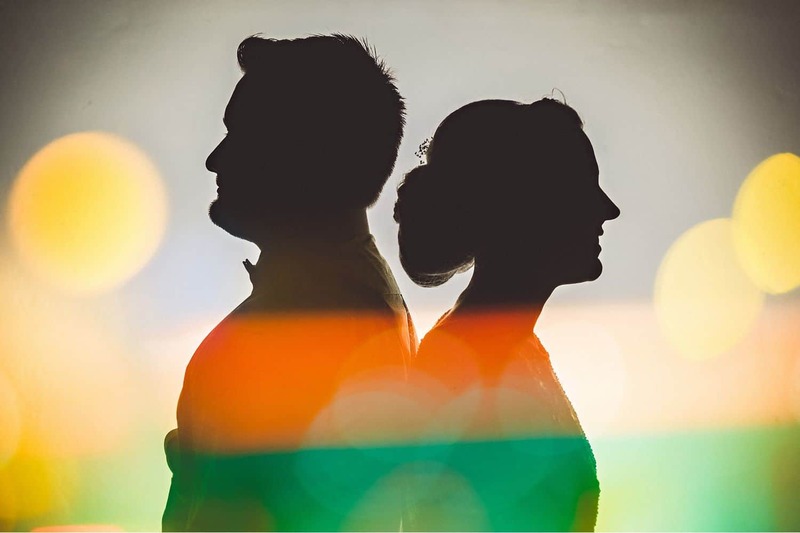 “Before I finished photographing their wedding, I took them outside for a Last Photo, and made a silhouette portrait in a tunnel just outside their venue. When I came back inside, I got the idea for a sunflower double exposure. 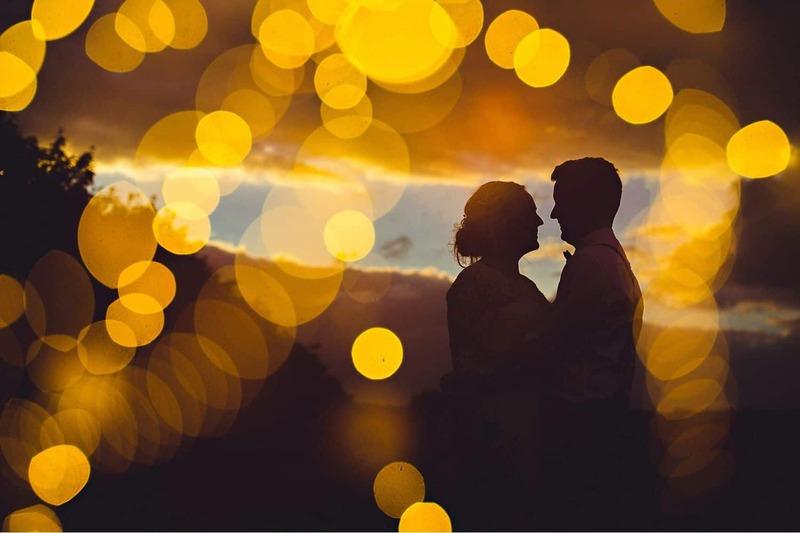 “Silje and Alex got married in a forest. The theme was quite woodsy, with logs and moss. 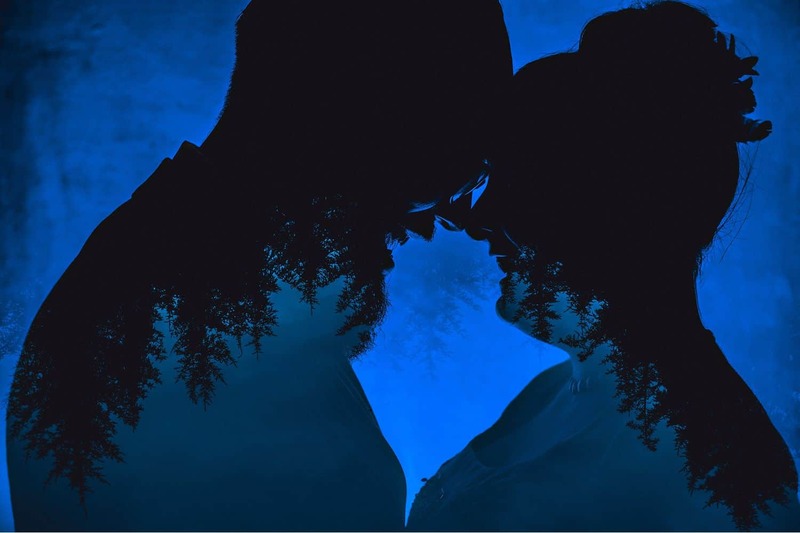 “I made a silhouette portrait of them in front of a blue wall (mainly because I liked the color), and I thought I had my Last Photo. 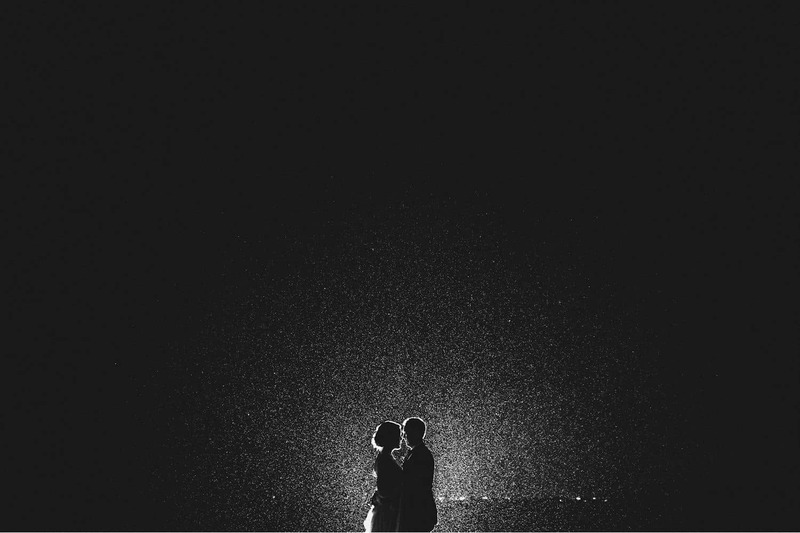 “But as I threw my stuff in the car, I saw the V-shaped horizon over the forest where they got married. I thought, if I hold my camera upside-down, I can create a double exposure and make the forest canopy appear inside their silhouettes! 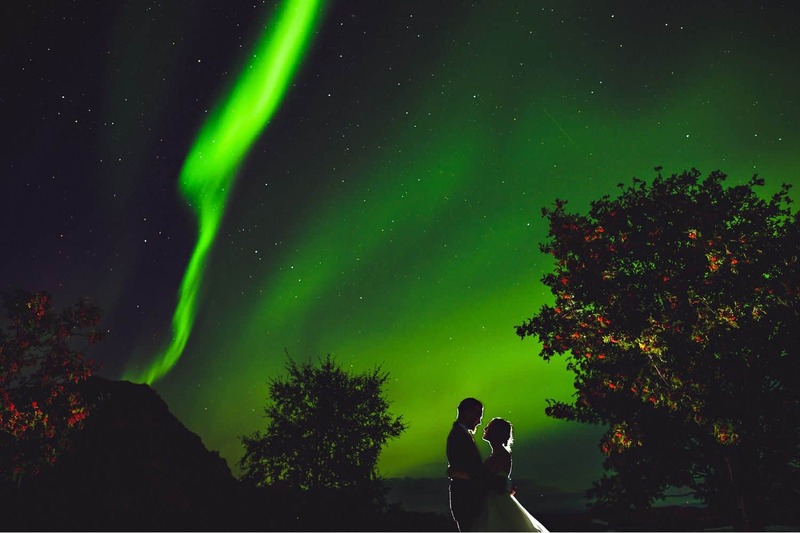 “Erica and Håkon got married on an island, in her parents’ garden. Here in Norway, we have ever-changing weather, and on the morning of her wedding, Erica worried about the heavy clouds rolling in. 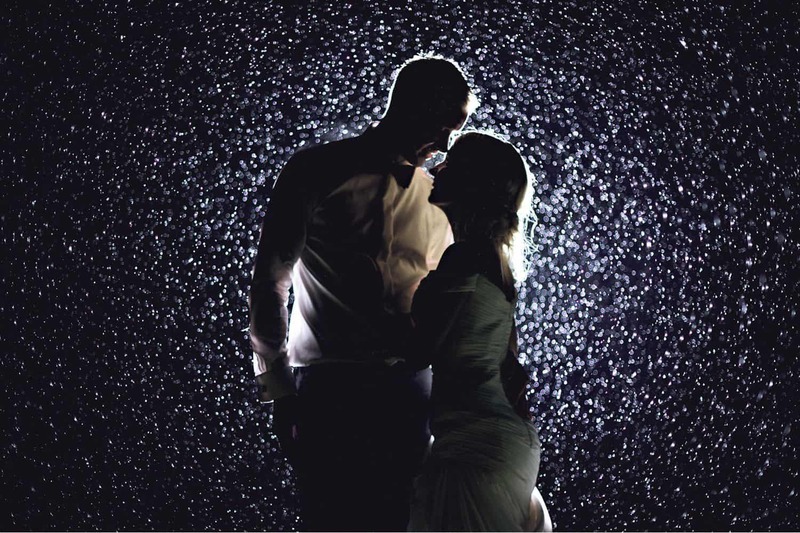 “Immediately after the ceremony, the rain started. Slowly, at first – during portraits; then it got heavier and heavier. By the time all the guests were under the tent, it was pouring outside. And it didn’t stop. When it was time to leave, I knew I needed one photo to showcase how much it actually rained. 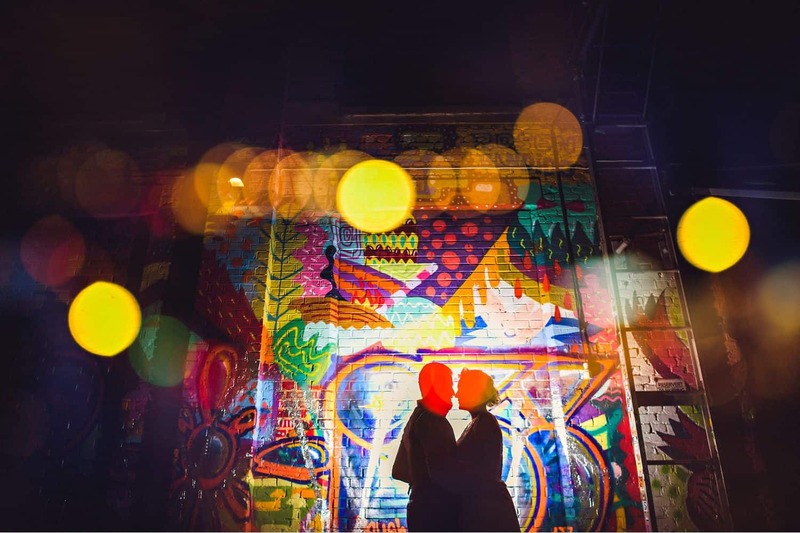 “I asked the couple if they would come outside into the rain for a Last Photo portrait. ‘Hell no!’ they said simultaneously. But after a little convincing, they were outside under umbrellas! “I checked my focus while Erica lit Håkon’s face with my iPhone light. A Ziploc bag protected my flash, and my jacket acted as an umbrella for my camera. “I held the shutter down for about five seconds to be sure I got the shot, then told them to grab their umbrellas and run inside. 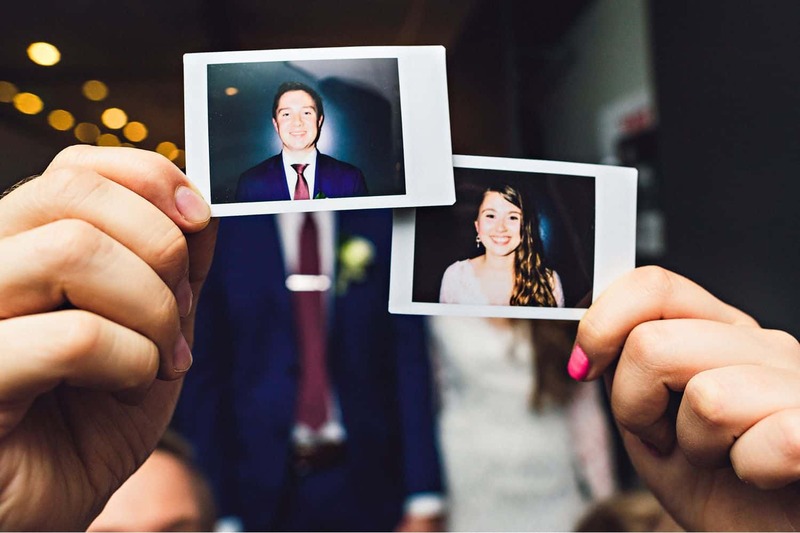 It’s easy to create the same photos over and over at every wedding. Ad nauseam. Not that repetition is wrong! After all, knowing what works for you and your dream clients is critical to delivering consistent results and meeting expectations. The magic of a statement image like the Last Photo is that it allows you to craft a body of work that reveals you at your most creative, collaborative, and intuitive. 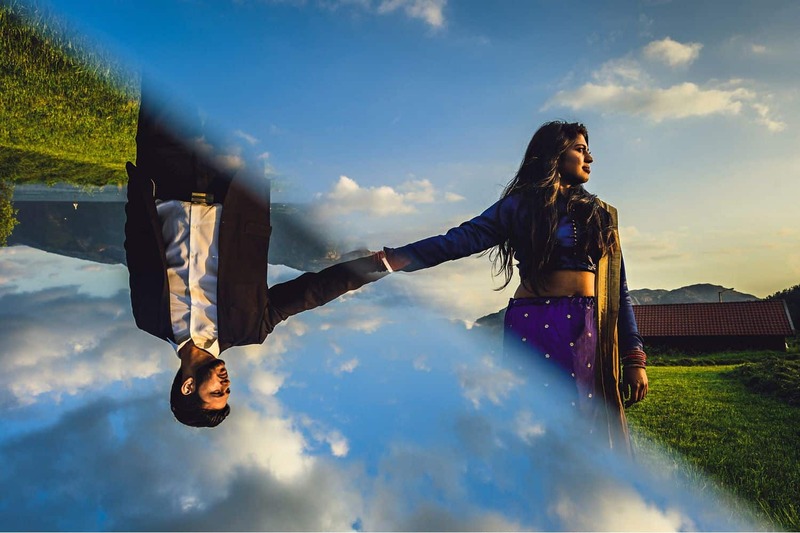 If you don’t photograph weddings, or if the whole Last Photo concept simply doesn’t resonate with you, consider what else you could pursue as a statement series. What do you love photographing the most? At a workshop many years ago, ShootProof pro Susan Stripling described how her photographs of wedding shoes had become iconic to her loyal brides. No matter what your “thing” is, embrace it and showcase it! As Eirik’s Last Photo project grew, his followers began to associate his name with these one-of-a-kind portraits. One image, in particular, became iconic. 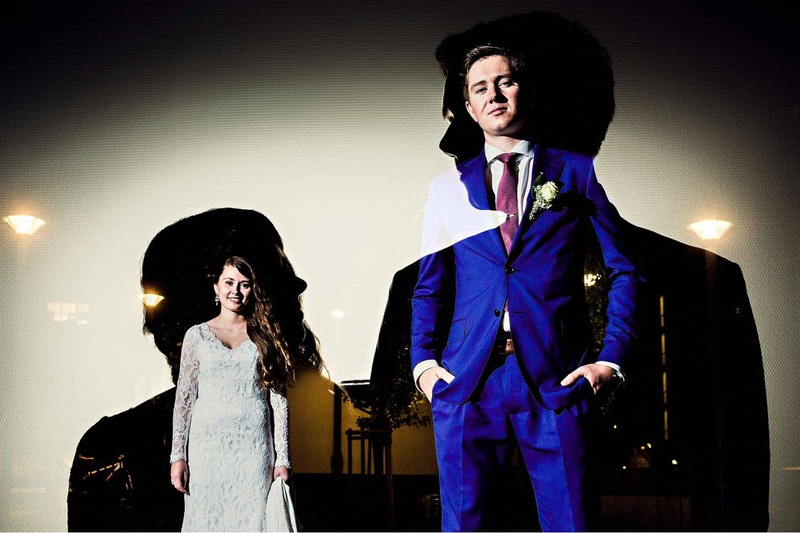 It’s a seaside photograph featuring a bride and groom, small and flash-limned at the bottom of the frame. 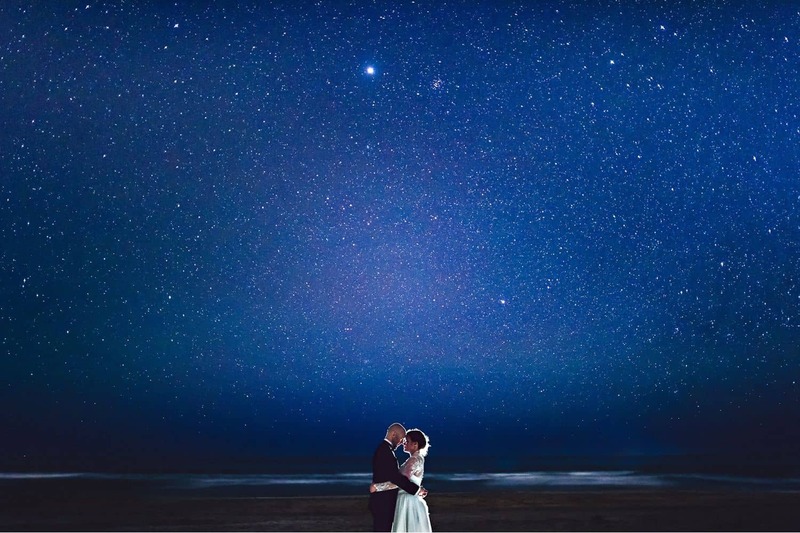 But the truly breathtaking feature of the image is the deep blue, star-filled sky that looms above the newlyweds. 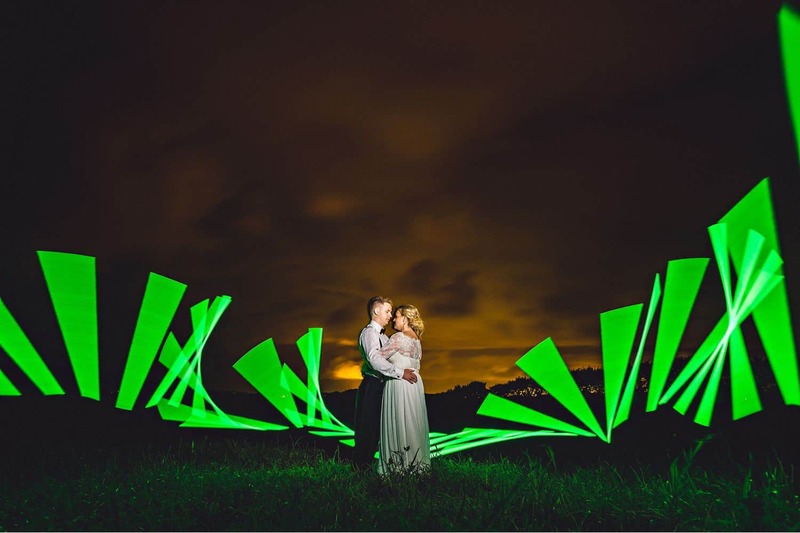 These days, all of Eirik’s wedding clients know to expect a Last Photo as part of their photography experience with him. They express a blend of awe and pride at being part of the creative process, and no one hesitates when Eirik invites them outside for some experimental image-making. No Last Photo is exactly like another, and Eirik is constantly revising and evolving his approach. PRO TIP: Put That Last Photo To Work! The Last Photo is the perfect header image on your client’s ShootProof gallery, and a sure-fire seller – especially if you offer wall prints and canvases. To prevent just anyone from downloading photos from a gallery, customize downloading only for a Linked Contact at a single client email address. You can also set unique downloading permissions per visitor or album, determining download quantity and quality. Ready To Create Your Own Last Photo? Eirik loves approaching clients with this phrase, because it’s collaborative and pressure-free. His clients feel special because he’s thought up a creative concept just for them, but he isn’t bound to deliver a specific result because he’s already acknowledged that it may not work. Once you’ve built a portfolio well-stocked with experimental images, your clients will be even more willing to try something new and unexpected! 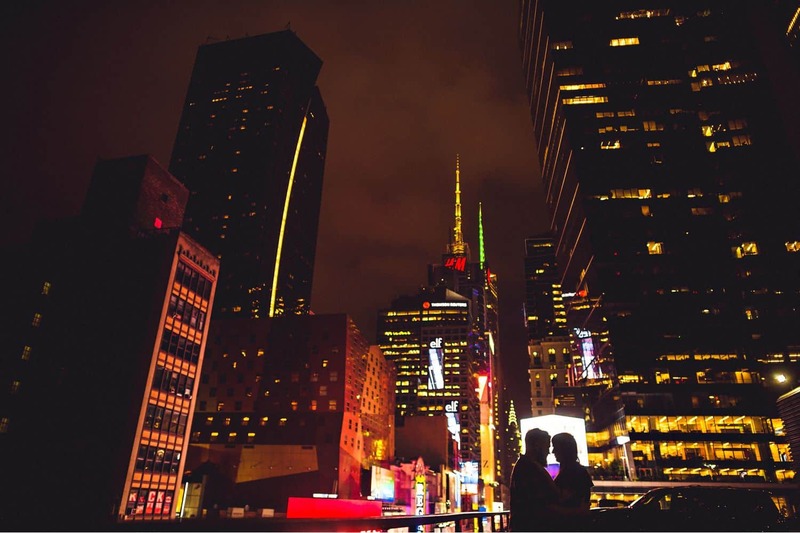 Comment below and tell us about your Last Photo or statement series! How To Photograph Details: No Macro Lens Needed!